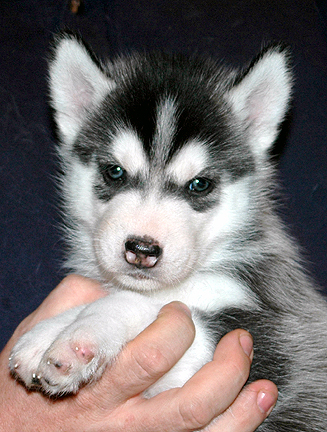 Siberian Huskies are medium-sized, graceful members of the Working Group with a distinct wolf-like appearance. 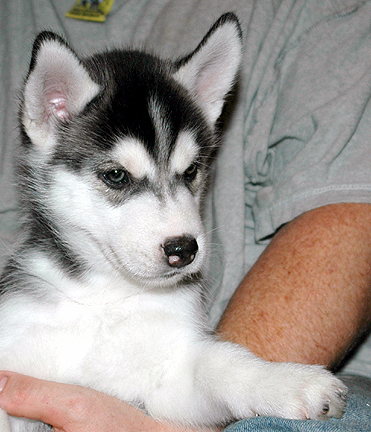 Siberians have a double-layered, medium length coat which acts as insulation against both cold and heat. 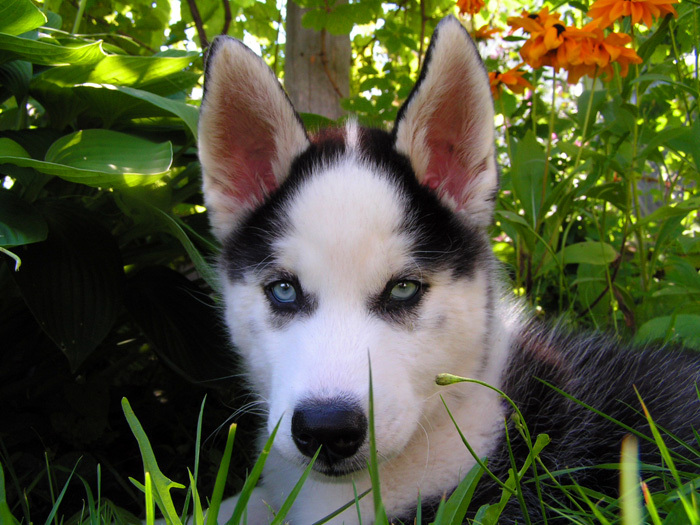 The dog's fur is usually black and white, gray and white, copper-red and white, or pure white. 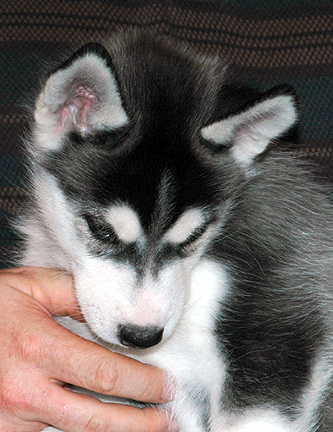 The breed often has white paws and legs in addition to unique markings on the face. 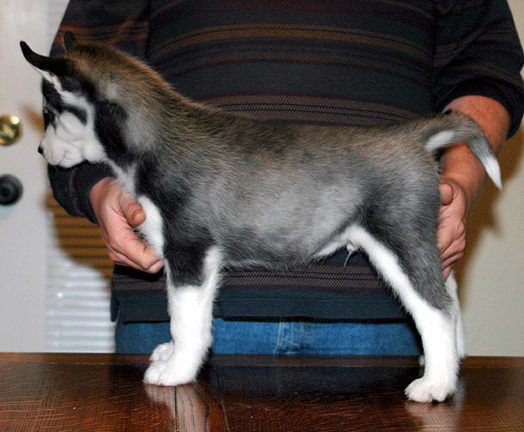 The brush tail is covered by thick fur and is sometimes carried in a sickle-shaped curve over the dog's back. 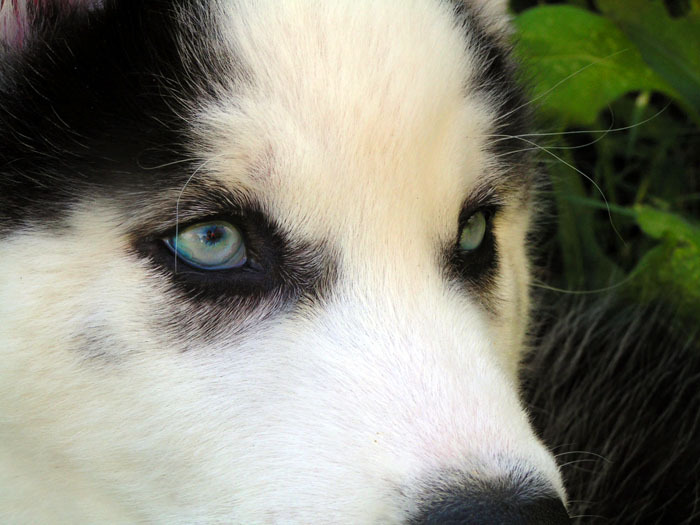 The Siberian Husky has triangular, erect ears and beautiful eyes that can be brown, hazel, blue, or a combination of these colors. 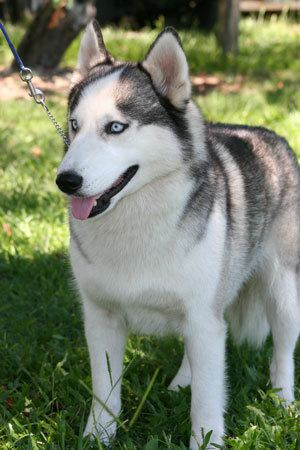 Siberian Huskies have strong chests and backs, well-muscled upper thighs, and are known for being athletic, elegant dogs. 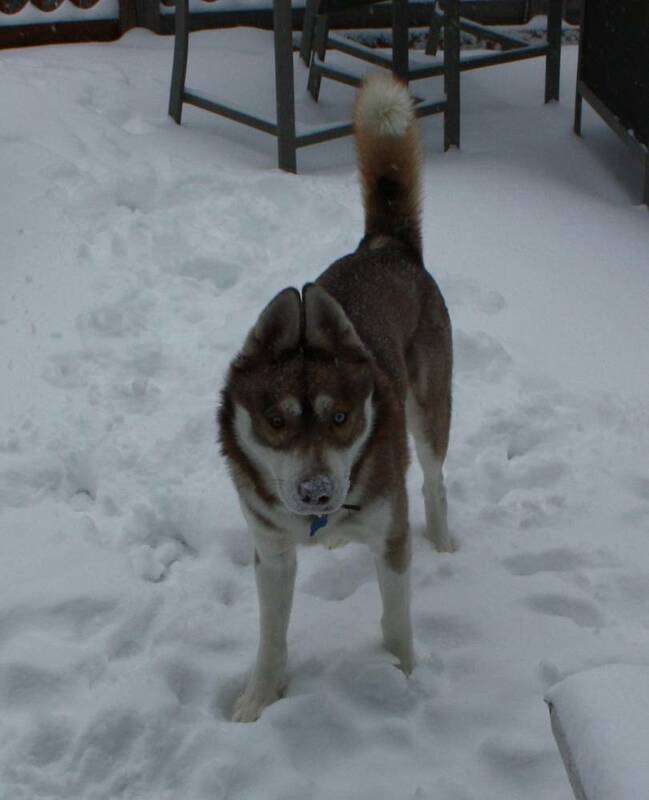 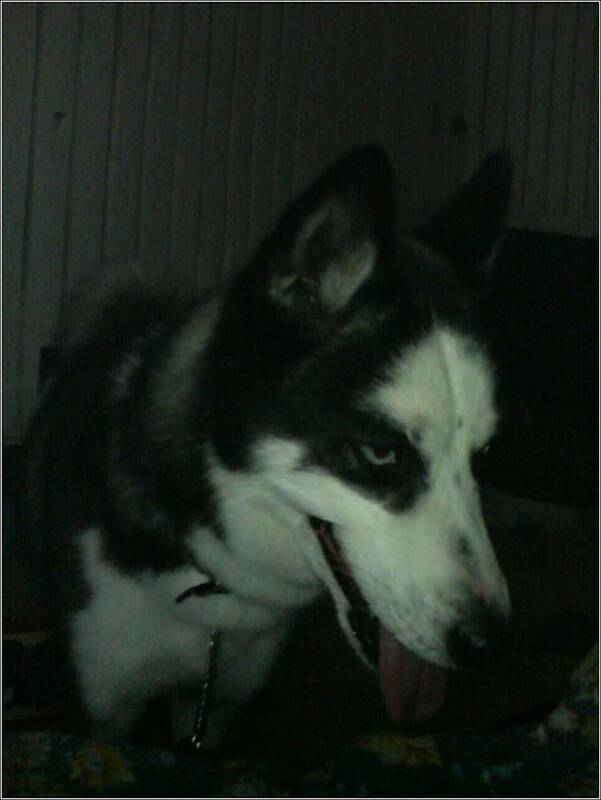 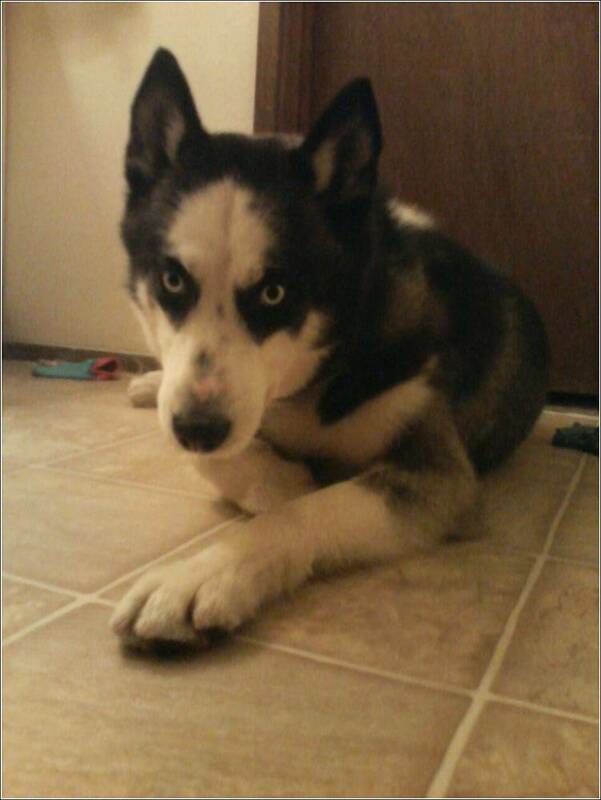 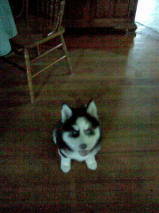 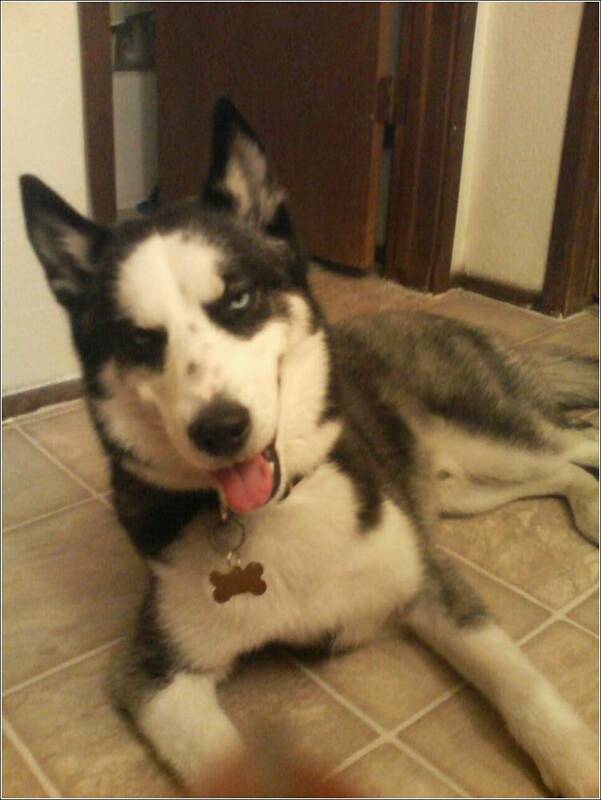 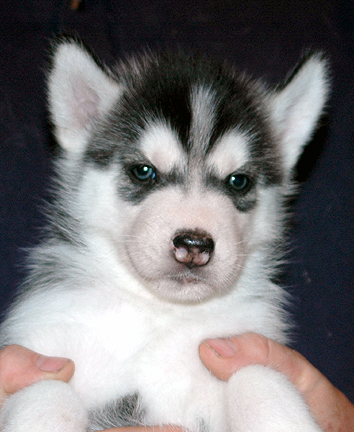 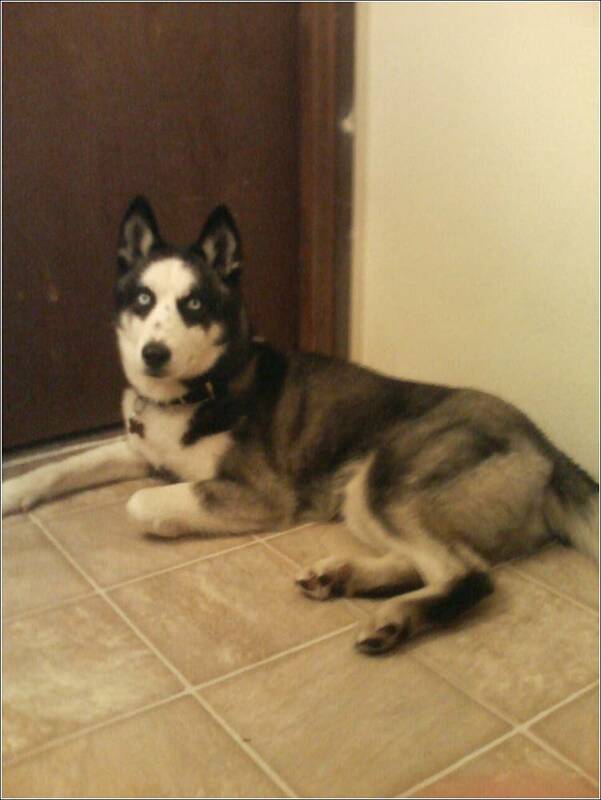 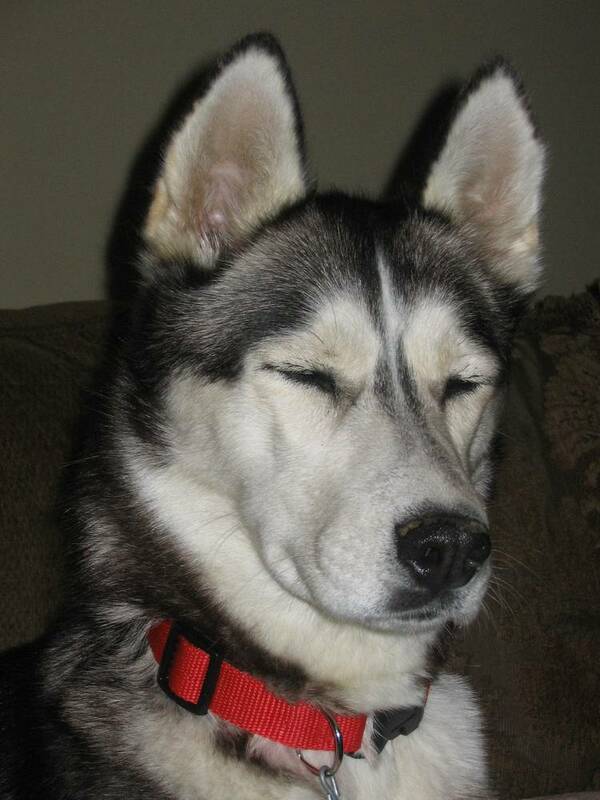 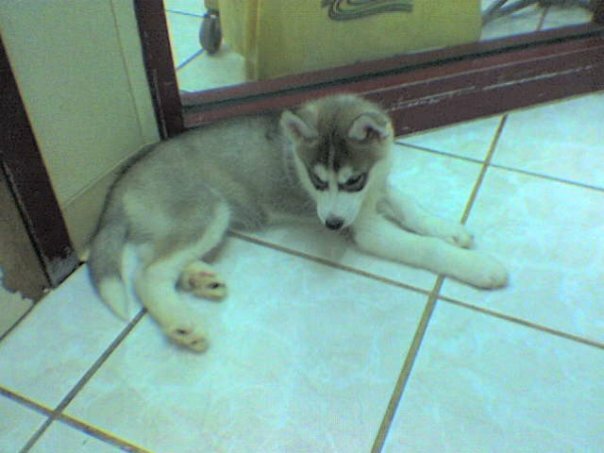 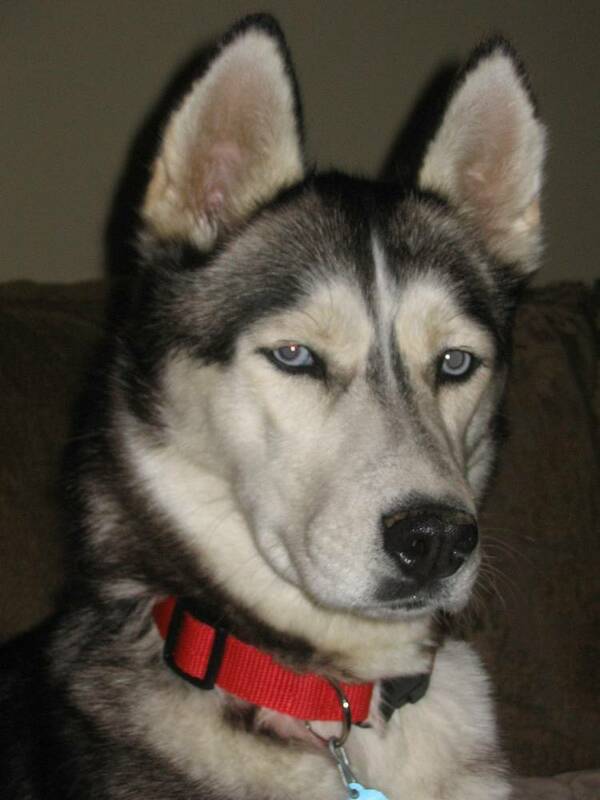 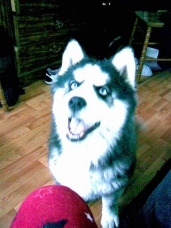 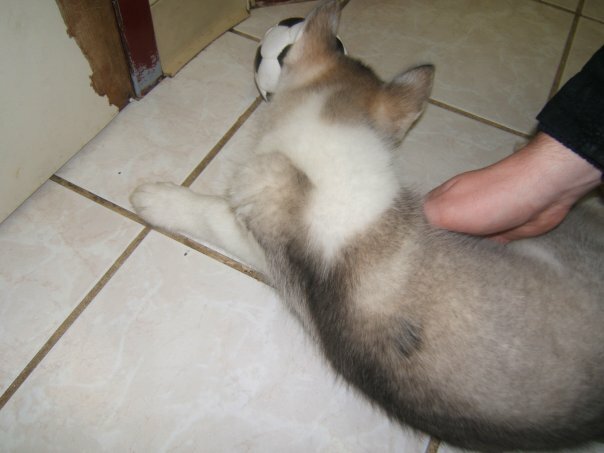 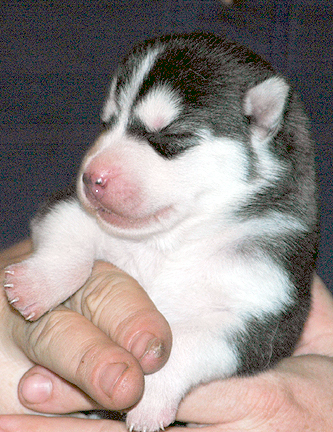 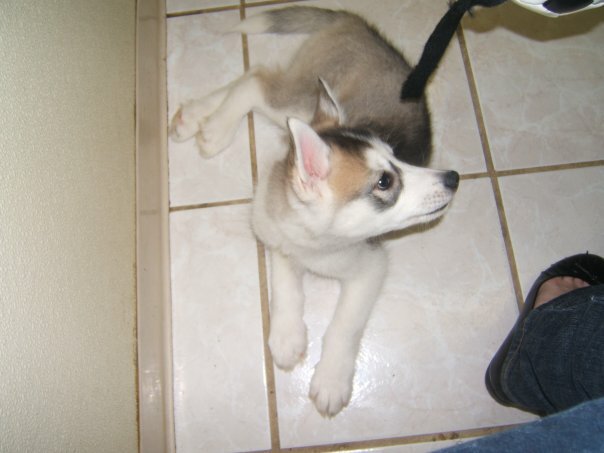 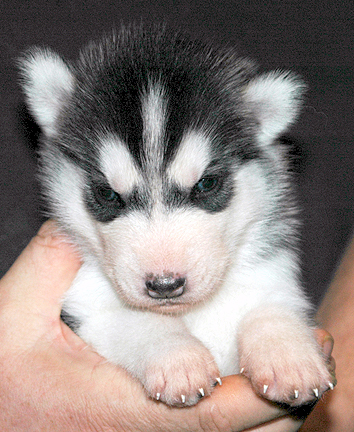 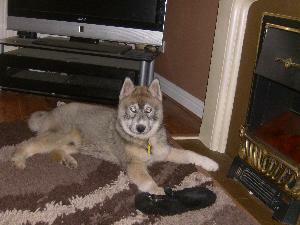 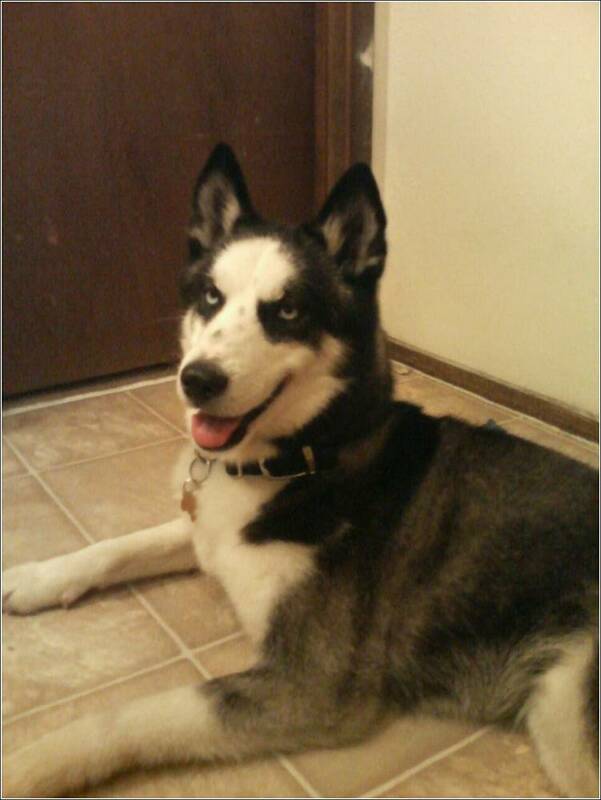 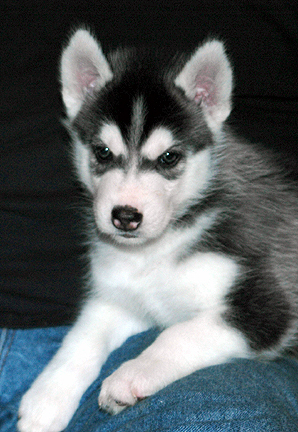 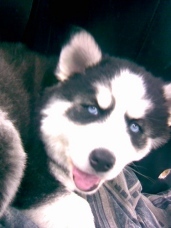 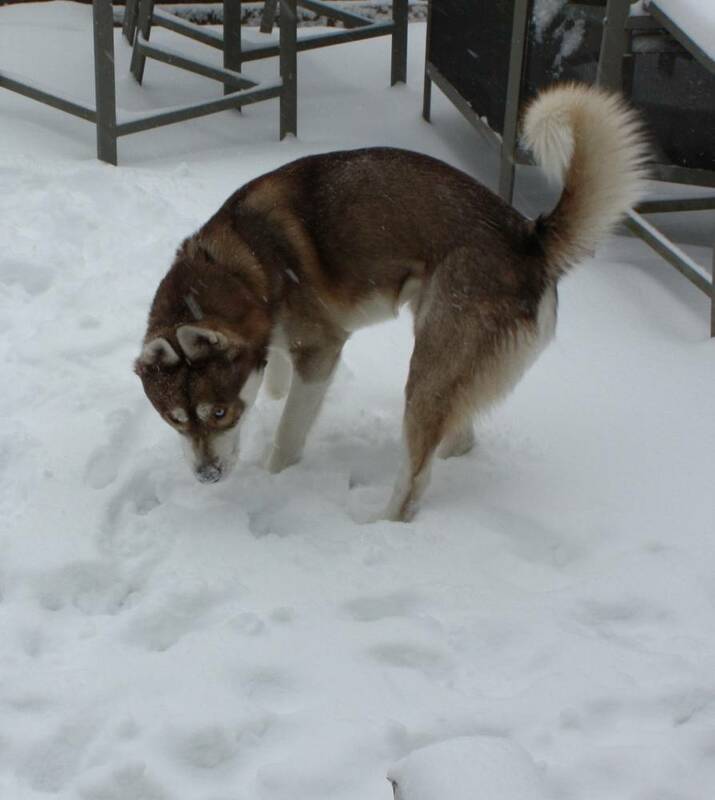 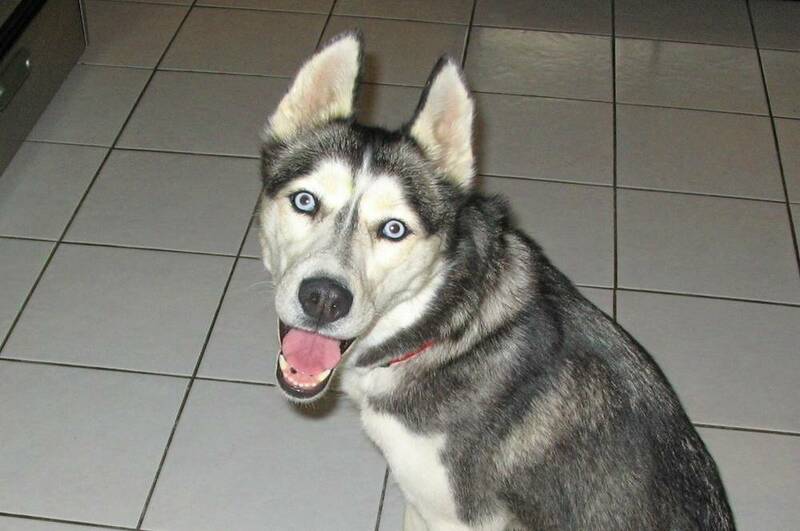 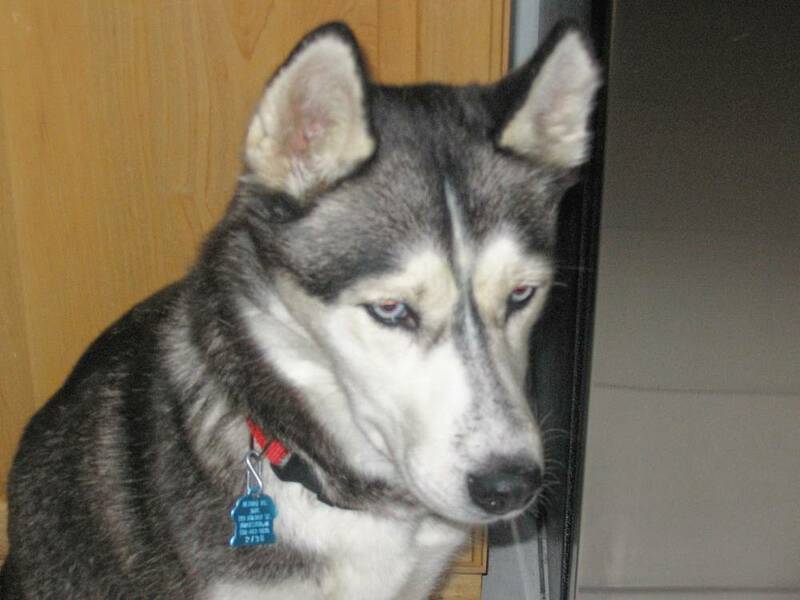 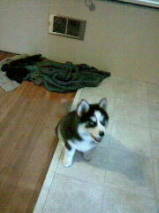 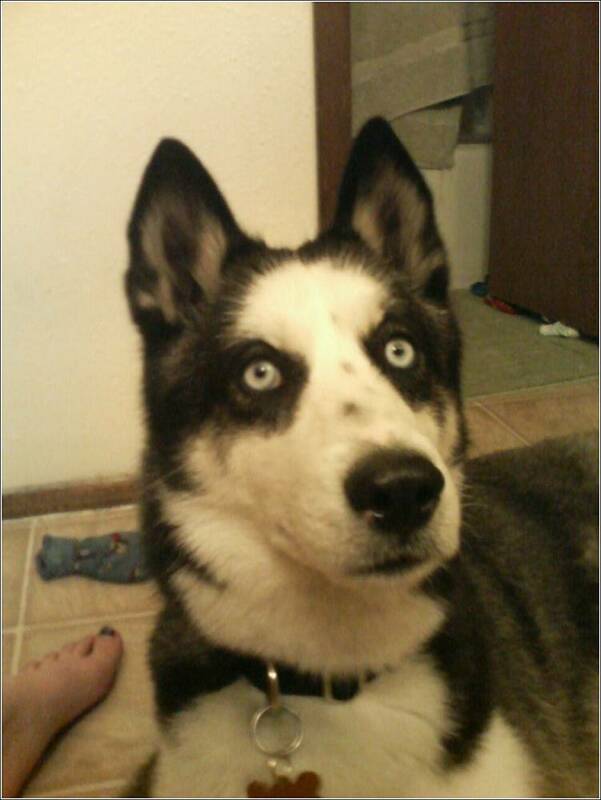 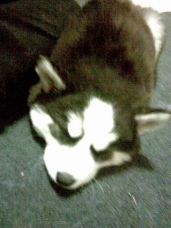 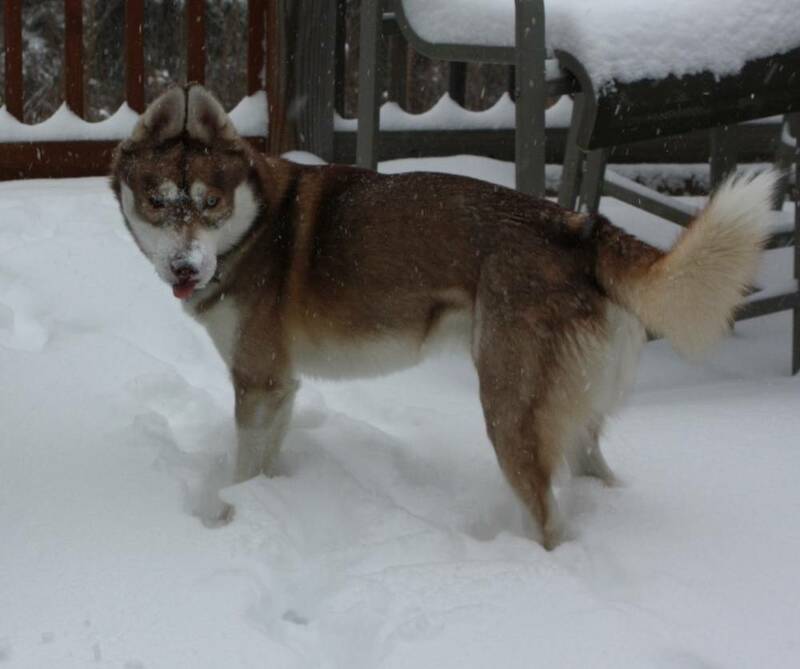 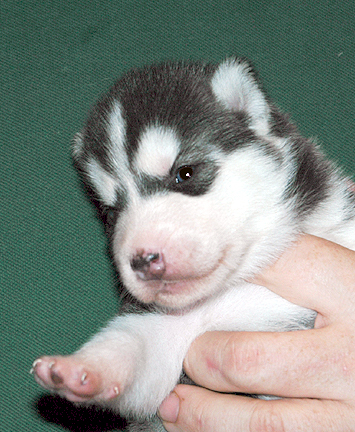 Height (Male) 21 - 23.5"
Common Misspellings Syberian Husky, Sibeerian Husky or Siberian Huskie. 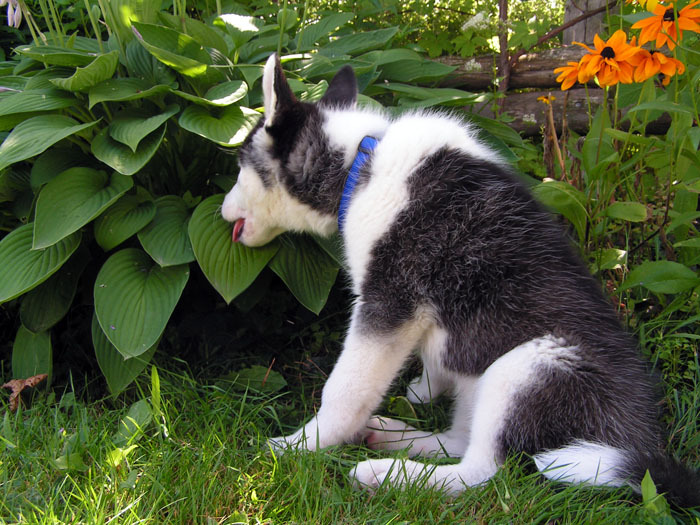 Like many other Working Dogs, though, they can be very independent and hard to manage. 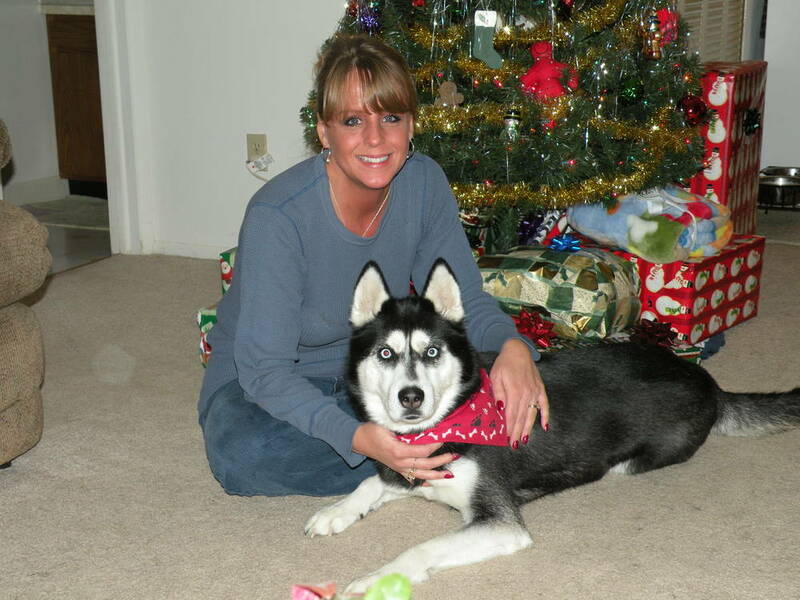 An experienced owner capable of firm training is a must. 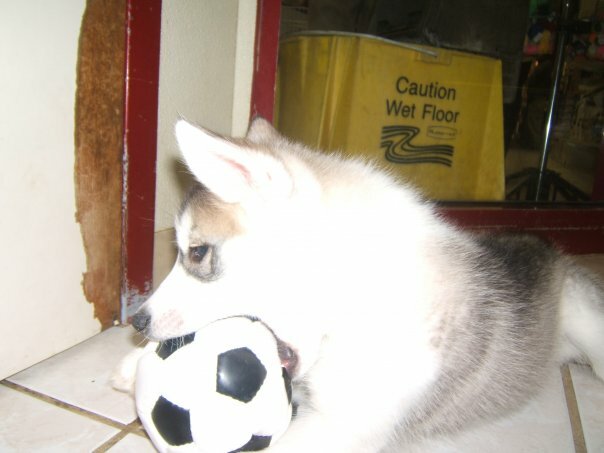 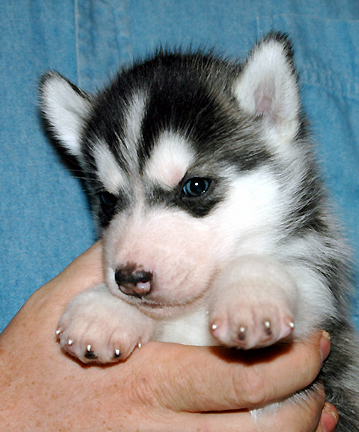 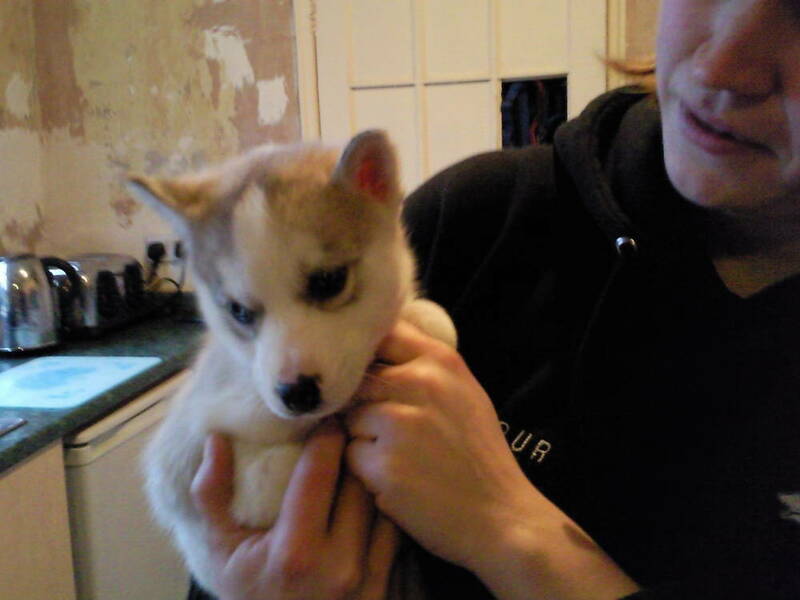 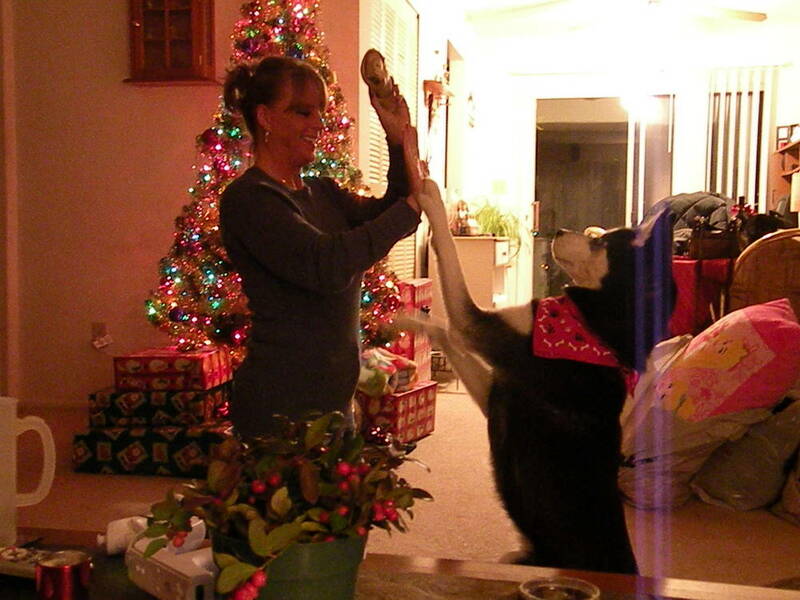 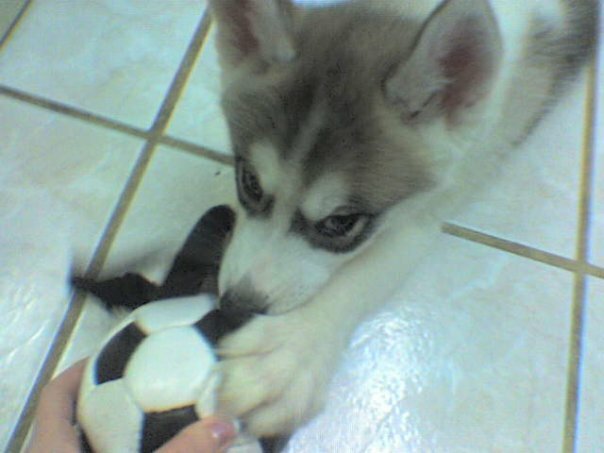 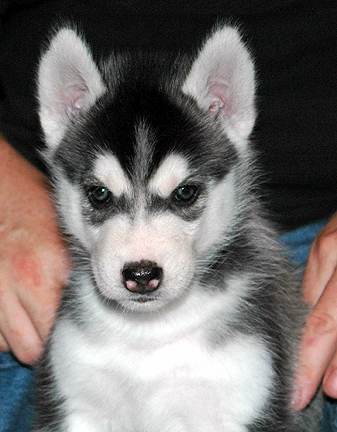 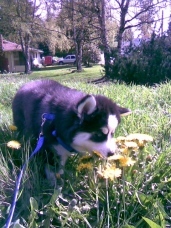 Siberian Huskies are very intelligent and respond well to training, which should begin at a young age. 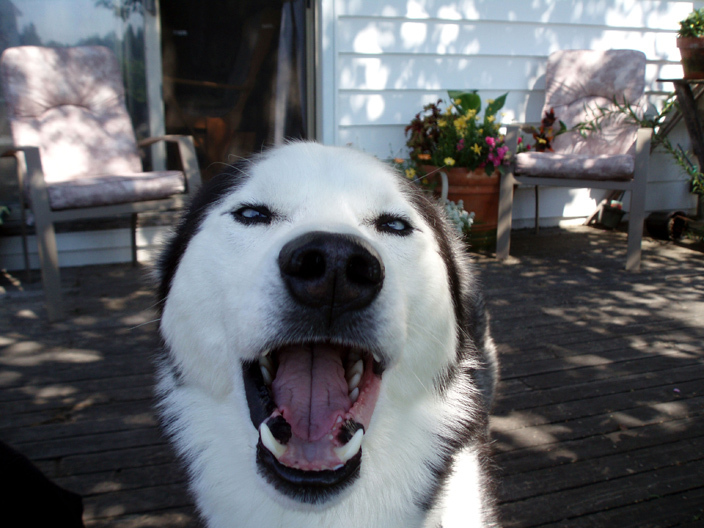 Although Huskies do not bark much, they are prone to whining and vocalizing a yowl sound this can be stamped out through good training. 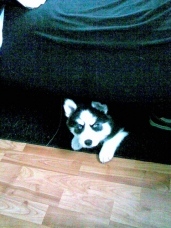 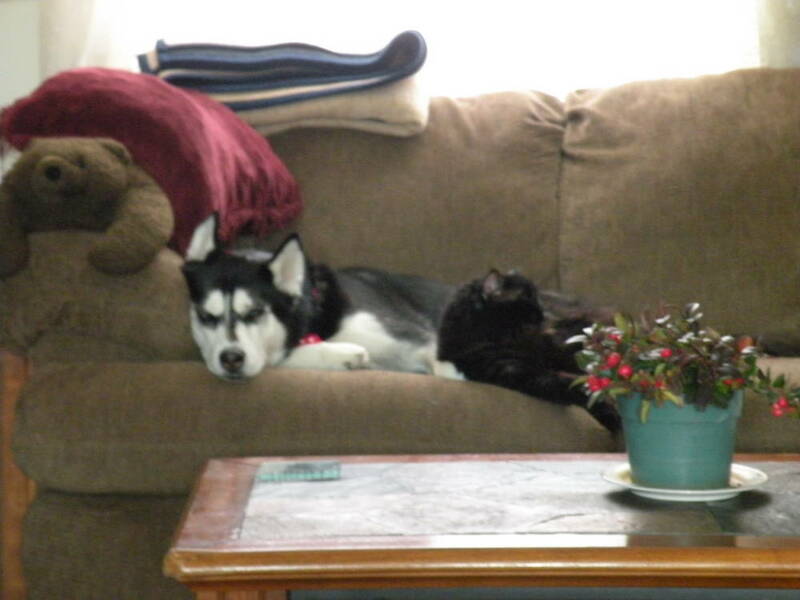 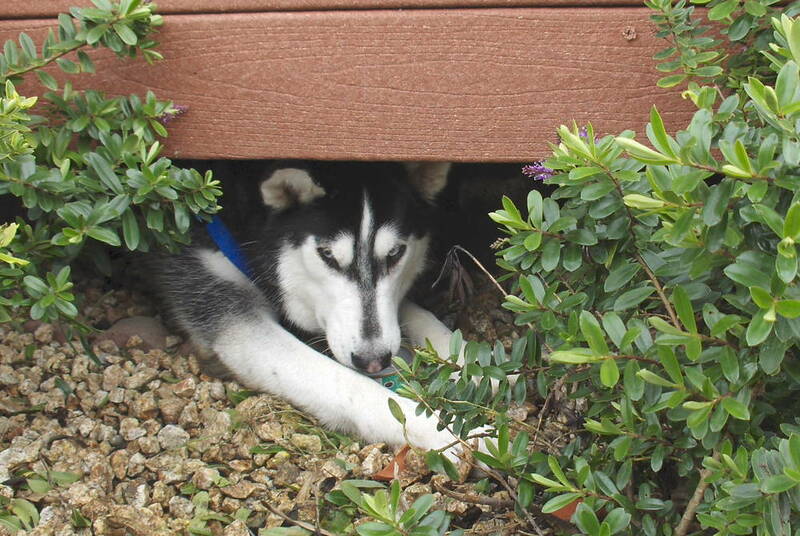 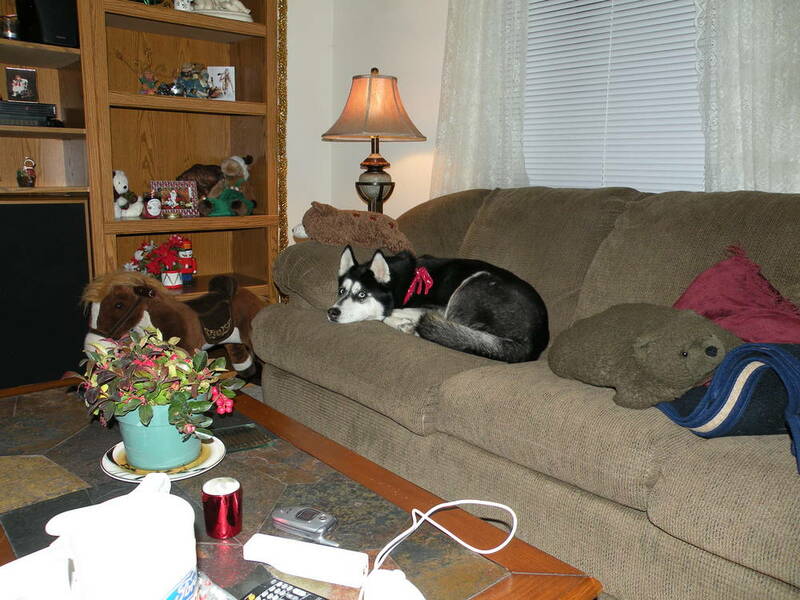 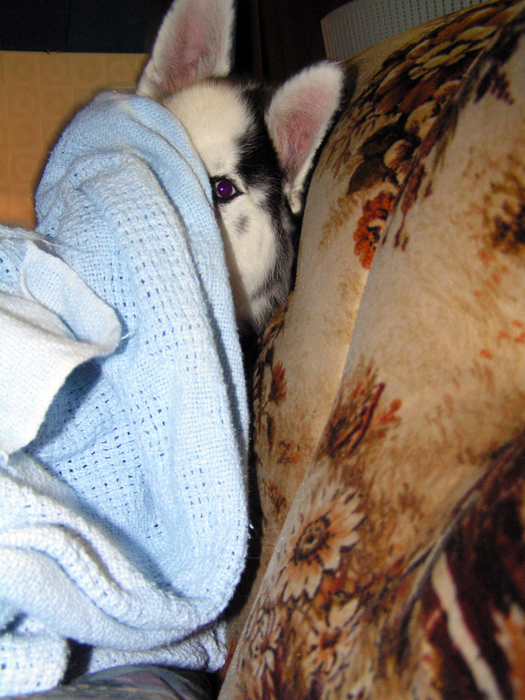 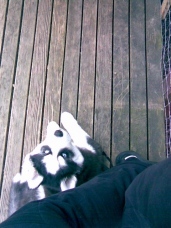 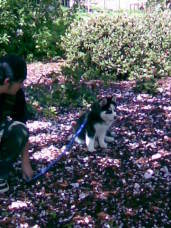 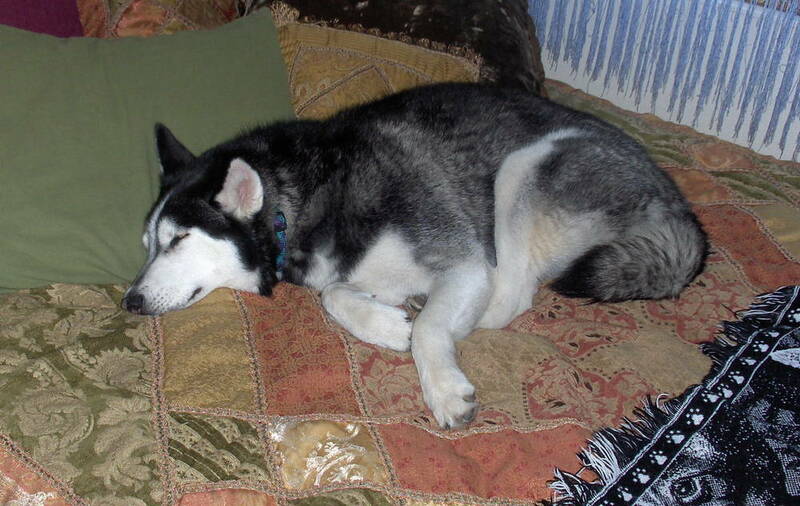 Because of their friendly and inquisitive nature and their reluctance to bark, Siberian Huskies make poor watchdogs. 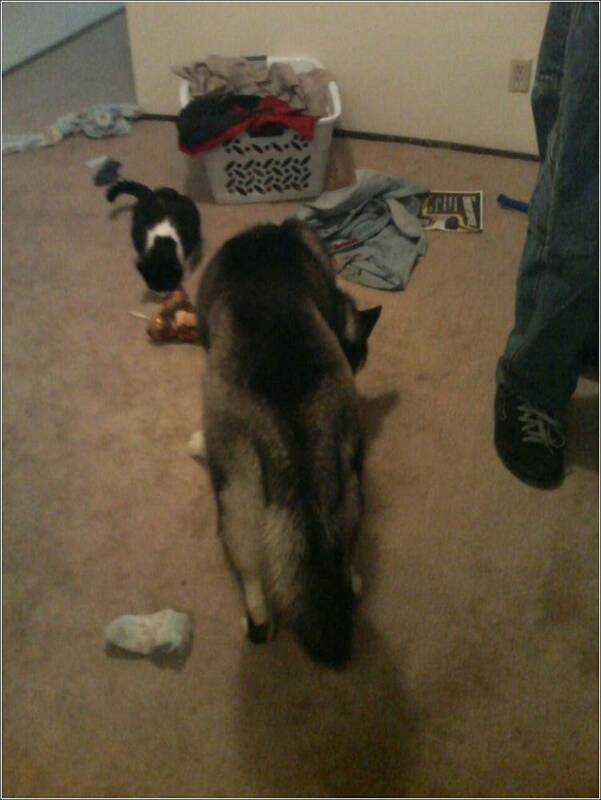 They tend to be very gentle with small children. 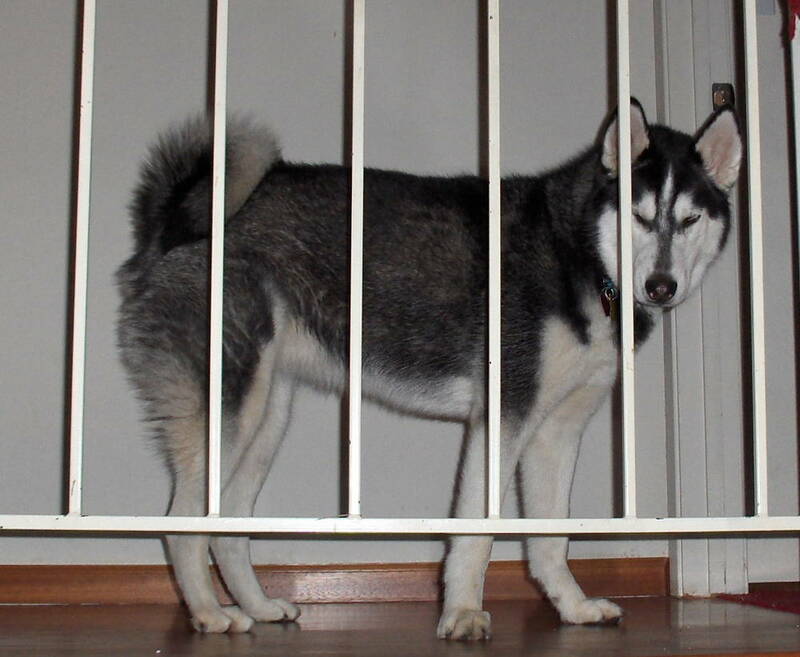 They are also talented escape artists and have a strong prey drive - a high, sturdy fence and obedience training to keep your dog from chasing the family cat is a must. 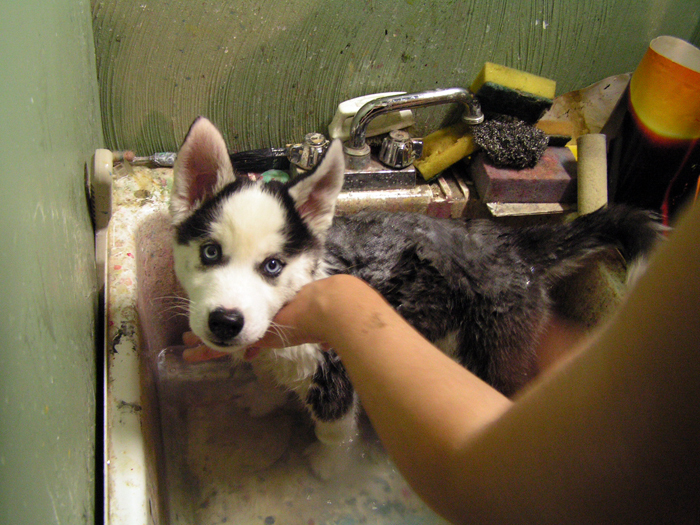 In addition, they need regular grooming care, consisting of bathing, brushing, and care of eyes, teeth, ears, feet and nails. 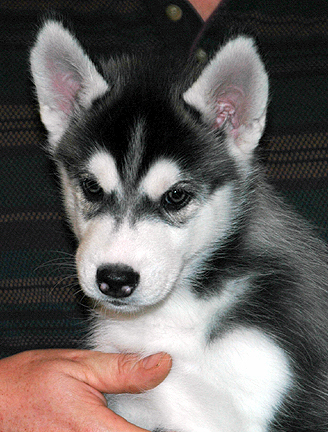 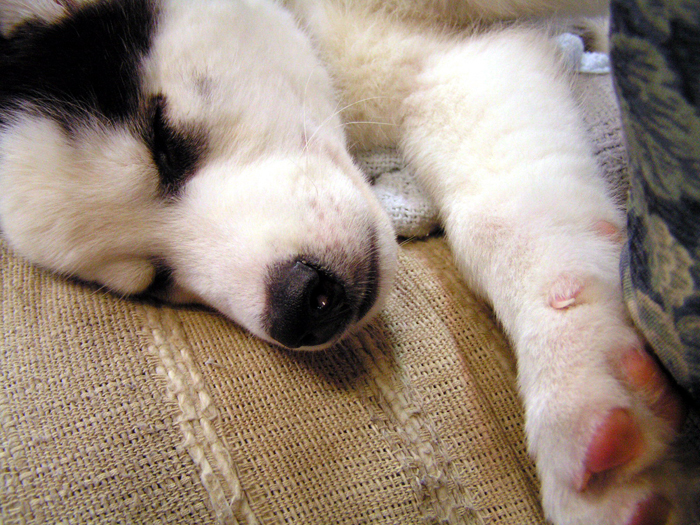 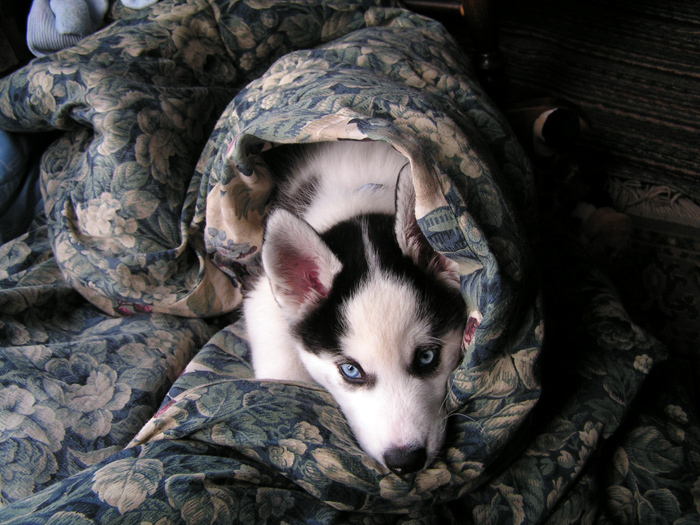 Twice a year Siberian Huskies shed most of their undercoat over the course of two or three weeks. 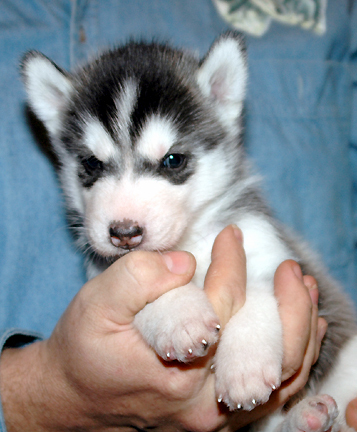 They are social dogs and do not like being left alone, and will be happier if they have a companion dog. 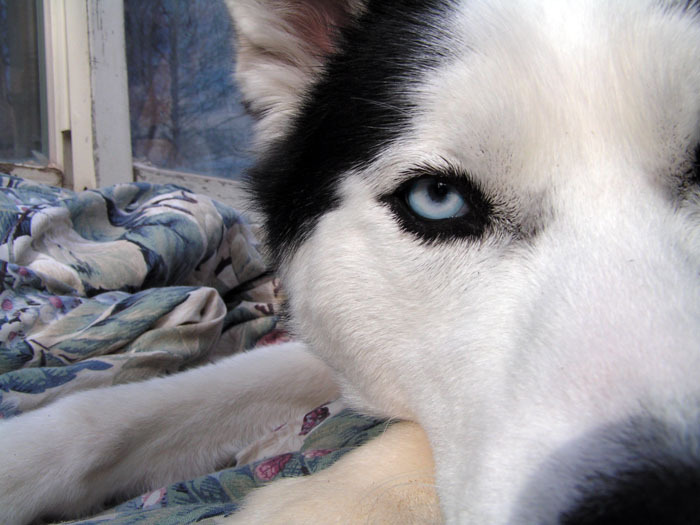 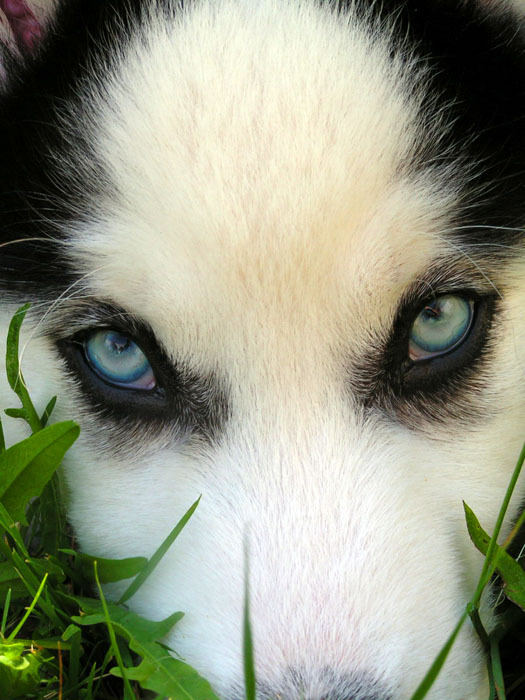 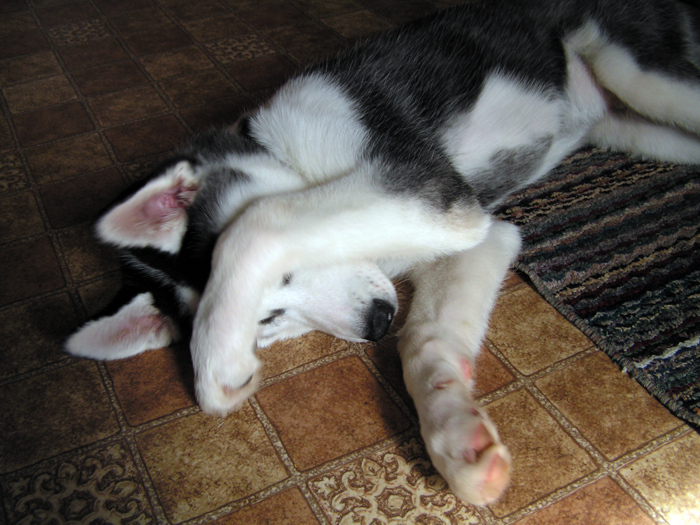 Though the Siberian Husky is a fairly healthy breed, it is not uncommon to see canine hip dysplasia, hypothyroidism and eye problems, including progressive retinal atrophy, cataracts and corneal dystrophy, in the breed. 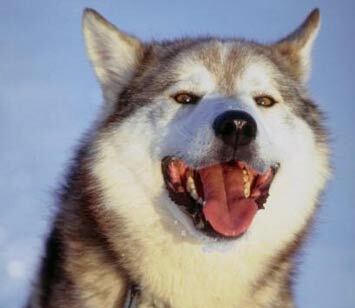 The Chukchi are semi-nomadic people, and the Siberian Huskys ability to pull sleds with light loads for long distances made it a useful companion. 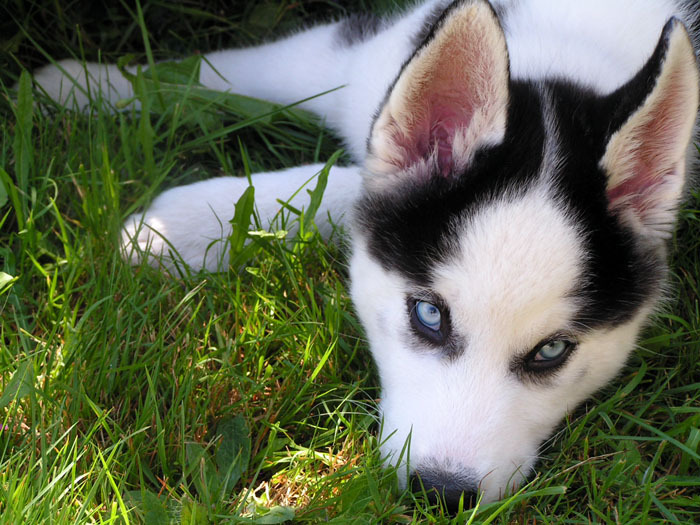 Recent DNA analysis has shown the Siberian Husky to be one of the oldest breeds of dog.A team of Siberian Huskies was brought to Alaska in 1909 to compete in the All Alaska Sweepstakes Race. 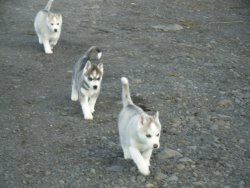 Following their debut a large number were imported to Alaska, and a team of Siberian Huskies won the same race the following year. 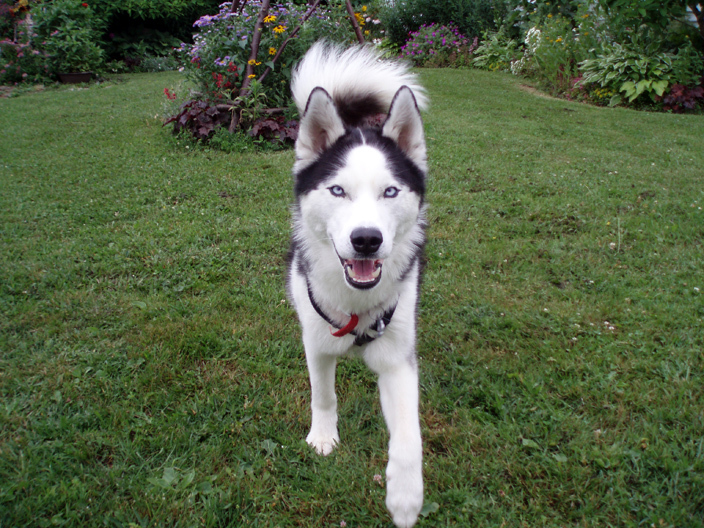 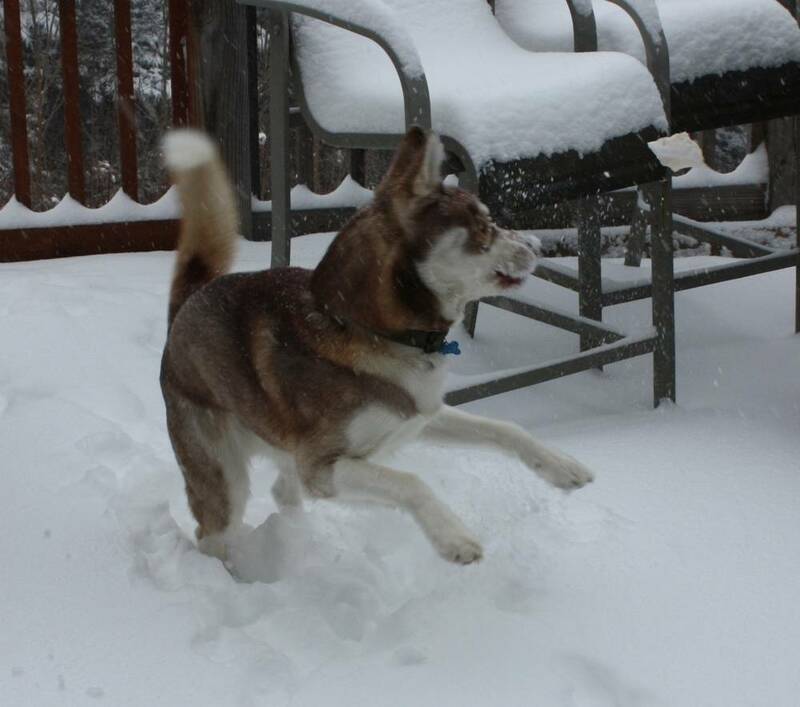 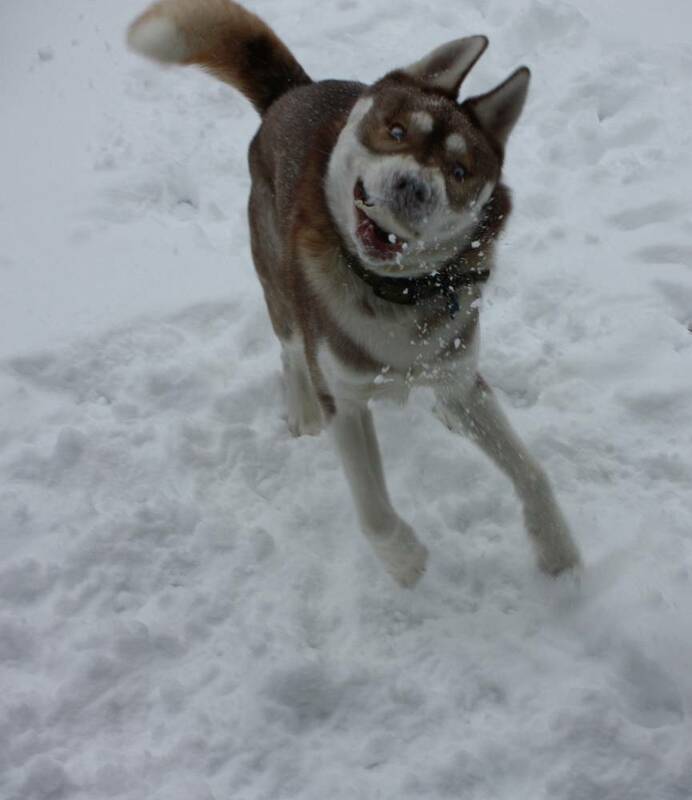 In subsequent years, Siberian Huskies went on to win many different races and gain fame for their speed and endurance. 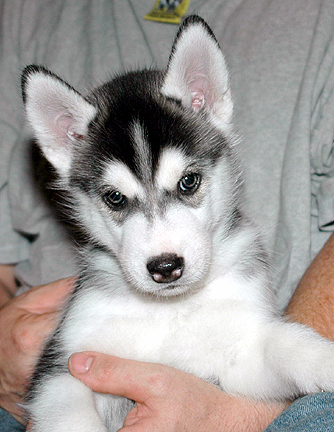 Siberian Huskies were made even more famous in 1925, when the city of Nome, Alaska was struck by a diphtheria outbreak. 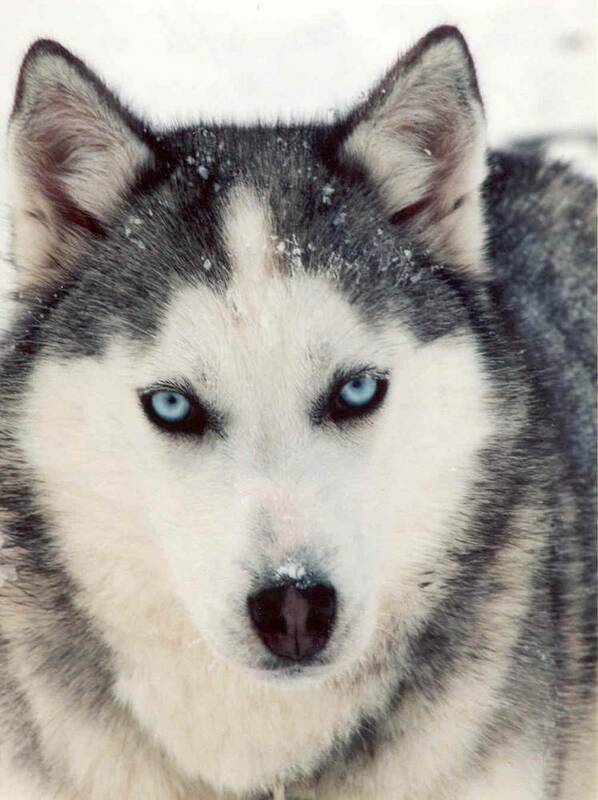 Several different teams of sled dogs, most of them Siberian Huskies, relayed the necessary serum back to Nome. 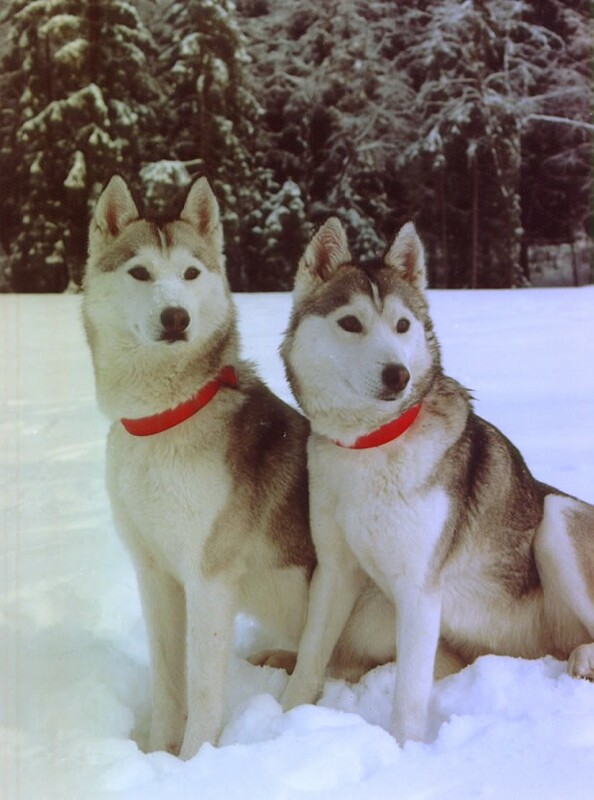 After this story became national news, Leonhard Seppala, a famous breeder of Siberian Huskies and a key figure in the Nome rescue, toured New England with his team. 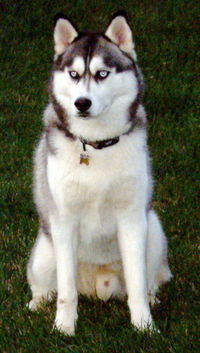 These events helped to popularize the breed, and in 1930 the Siberian Husky was recognized as a breed by the American Kennel Club. 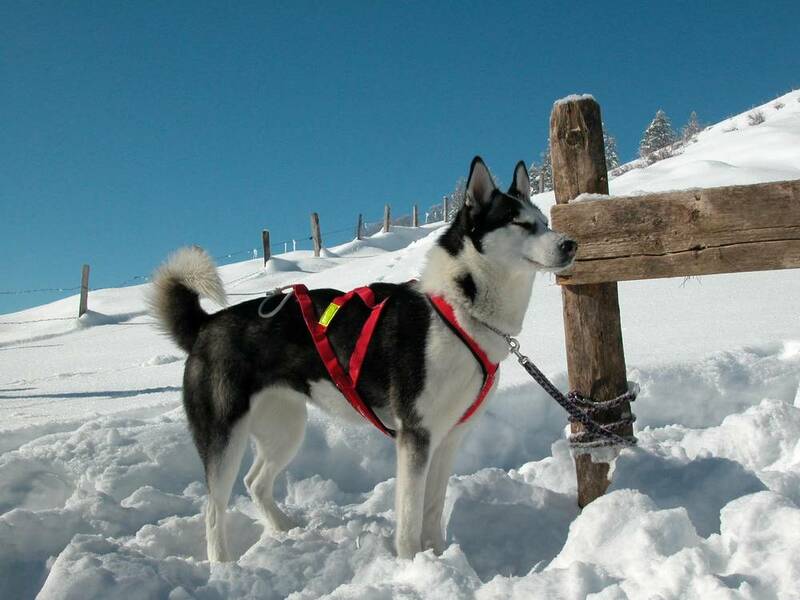 They are still used in various sledding, carting, and racing events, and are largely responsible for the popularization of these activities. 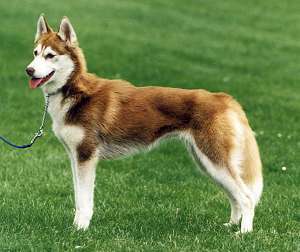 In recent years, however, the Alaskan Husky, which is specially bred for speed, has largely replaced the Siberian in many races; in response, a movement has started to create races specifically for Siberian Huskies. 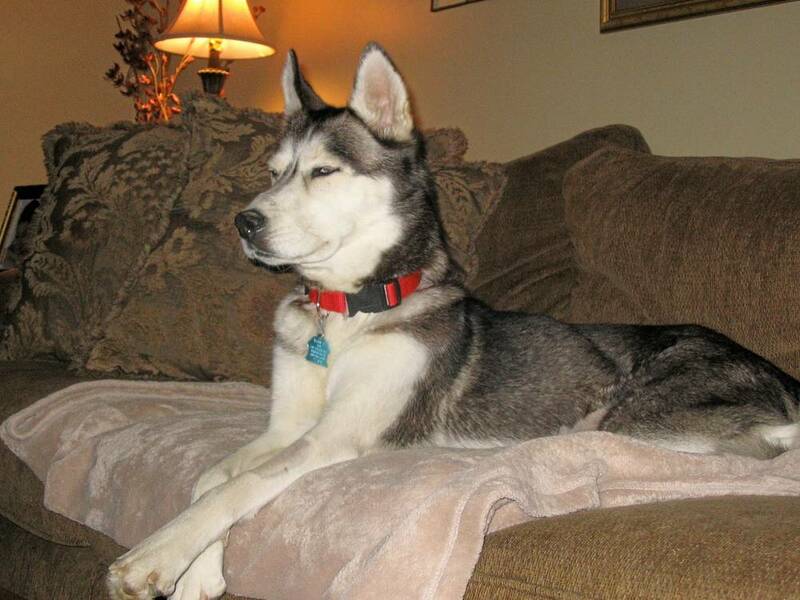 Recently, the breed has found success as a hiking companion, therapy dog, and as a loving pet.